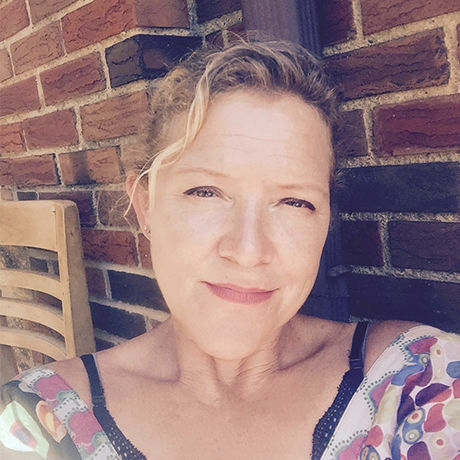 Claire Campbell is an artist, Licensed Clinical Counselor, Art Therapist, Clinical Director and faculty member in the Clinical Mental Health Counselor Education Graduate Program at Cleveland State University. Claire relies on relational, language, art therapy, and mindfulness practices to guide her clinical counseling, supervision, consulting, teaching and living. Claire has presented at workshops and conferences locally and nationally on trauma-informed care, empathetic distress, anxiety and the use of art therapy in treatment and wellness practices spanning the past 20 years. Of note, most recently Claire presented at the 9th Annual Expressive Therapies Summit in NYC and previously as a faculty member for The Yoga Service Conference at the Omega Institute in Rhinebeck, NY. Claire advocates for a holistic and creative approach to counseling and building sustainable wellness practices for clients, clinicians, colleagues and organizations alike. For the past 8 years, she has owned a private practice, SerendipityCleveland, in the beautiful West Park neighborhood of Cleveland, Ohio. SerendipityCleveland centers its work on supporting both individuals and organizations at improving and sustaining health, imagination and potential.